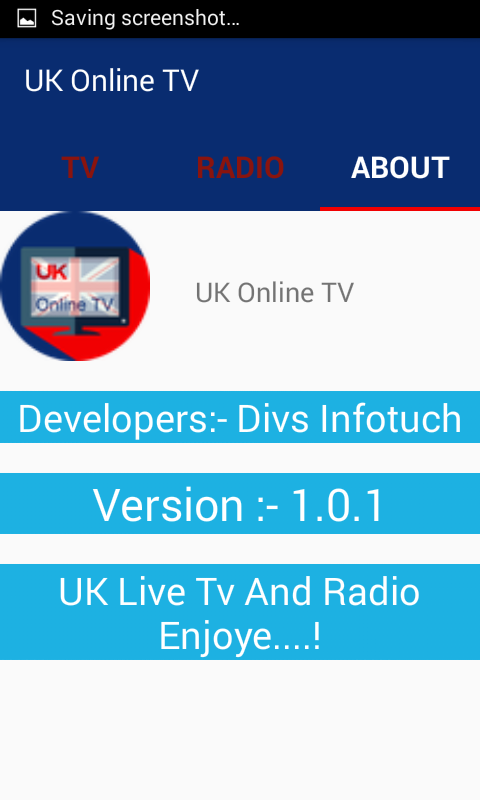 This app is intended Online TV lovers of UK Television. 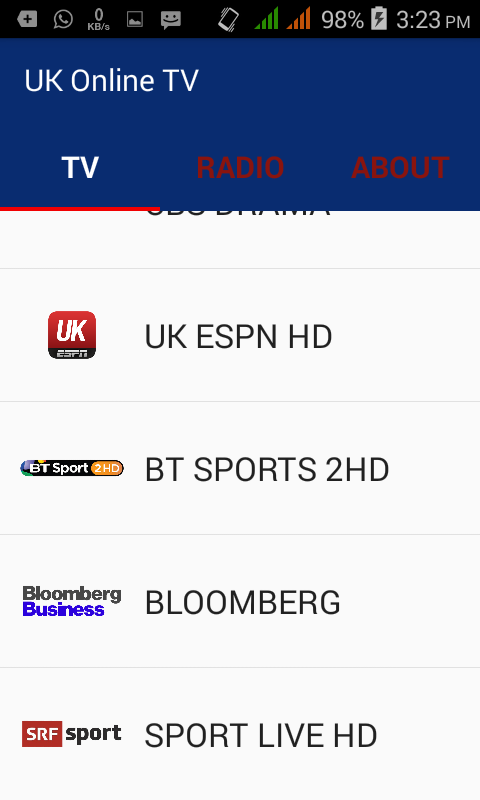 This apps stream any TV channel. You can watch TV online.This apps has Consultive purposes only. 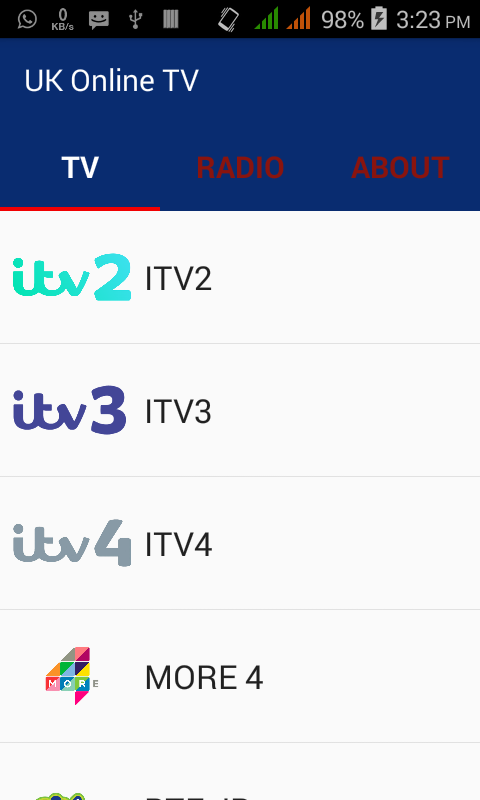 Features: This list is ranked channels as - ITV2 - ITV3 - ITV4 - RTE JR And Etc.. 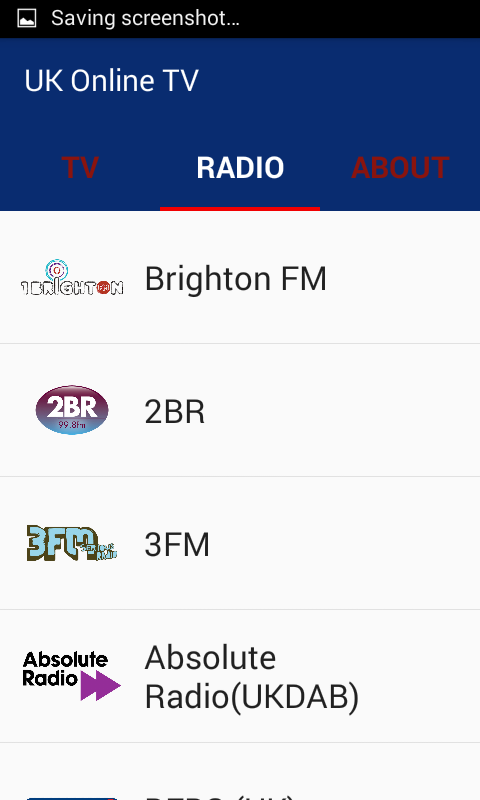 This List Ranked Radio As - Brighton FM - 2BR - BFBS (UK) - Capital XTRA(UK) - Fire Radio and Etc.. Enjoye Uk TV And Radio lovers of UK Television..